Have you noticed that you’ve been spending more on energy, but aren't sure of the cause? 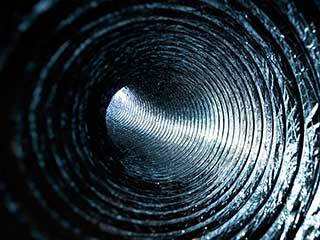 The issue may lie with your air ducts needing tending to. If your duct is broken it's more difficult for heat or AC to get through to circulate through your home. Thus, the both will have to run longer to stabilize the temperature, and this wastes energy. Keeping them in good shape is a great step towards lowering costs. Along with increased energy spending, your home will have a very difficult time trying to regulate the temperature inside it if the heat or AC can't easily circulate through the ducts. If you notice odd spots in the home that are particularly hot in the summer months despite the AC running, or ones that are still freezing in the winter despite the heat going, it likely means that your duct has an issue. If you notice loud sounds while either your AC or heater is running, this is likely a sign the duct needs repairs. Things like rattling, shaking, and other such noises aren't normal and can mean that there's a problem that's causing the racket. Have you noticed a musty or even moldy smell whenever your heater or AC is running? If so, don't shrug it off as potentially just your imagination, or that it's caused by something else. This can indicate that there are gaps in your duct that are drawing in air from usually closed off spaces inside your home and then blowing that air into your household. Mold and other health hazards could be being passed through, and this can be a concern particularly for those with breathing disorders like asthma. It's extremely important to get this fixed as soon as possible for the sake of your family's health. If you put your hand out to a vent while the AC or heater is running and find you can barely feel any air coming through, this can mean the system is on the decline and needs to be tended to.